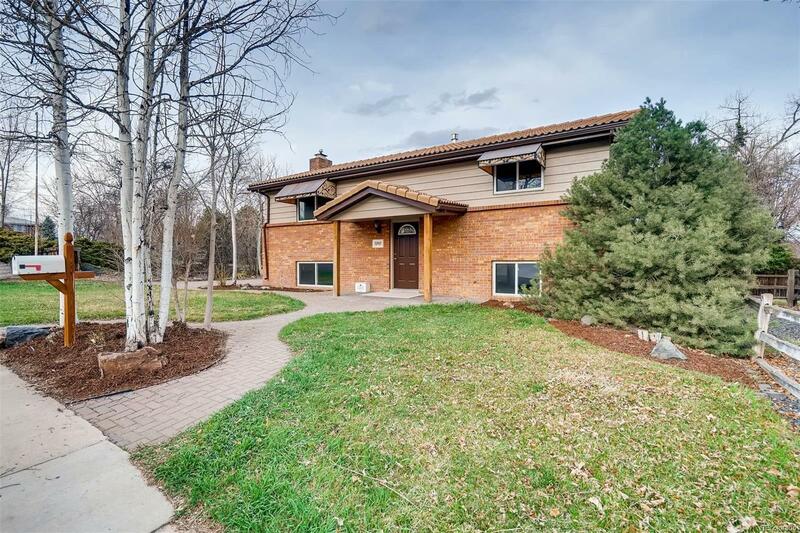 LOCATION*LOCATION RARE WHEAT RIDGE HOME IN WALKING DISTANCE TO NEW LIGHT RAIL STATION! THIS HOME IS ENCHANTING TO THE PERSON WHO LIKES TO SPEND TIME OUTDOORS, YET STILL ENJOYS THE COMFORTS OF A LARGE BRIGHT HOME WITH BRAND NEW PAINT, VINYL PLANK FLOORING & CARPET. THE LANDSCAPE IS SECOND TO NONE FROM A MINI MINE SHAFT TO THE DELIGHTFUL POND AND PATIO. IN BACK IS A DECK WITH HOT TUB. THIS HOME TEMPTS YOU TO TAKE A MINUTE TO SMELL THE FLOWERS AND LISTEN TO THE CALMING SOUND OF RUNNING WATER. 5190 SWADLEY IS A 2 LEVEL HOME THAT IS DESIGNED WITH OPEN ROOMS. HUGE KITCHEN LEADS TO THE FORMAL LIVING ROOM AND GIGANTIC DECK TO THE BACKYARD. 4 BEDROOMS AND 2 BATHS FOR EVERYONE'S COMFORT. THE LOWER LEVEL FAMILY ROOM HAS A COST SAVING PELLET STOVE! A SIDE LOAD GARAGE ADDS TO THE BEAUTY OF THIS HOME. THE BRAND NEW G LINE STATION IS A SHORT WALK FROM THE HOME FOR A FAST AND EASY COMMUTE TO DOWNTOWN! HURRY!! THIS ONE WILL GO FAST!! !